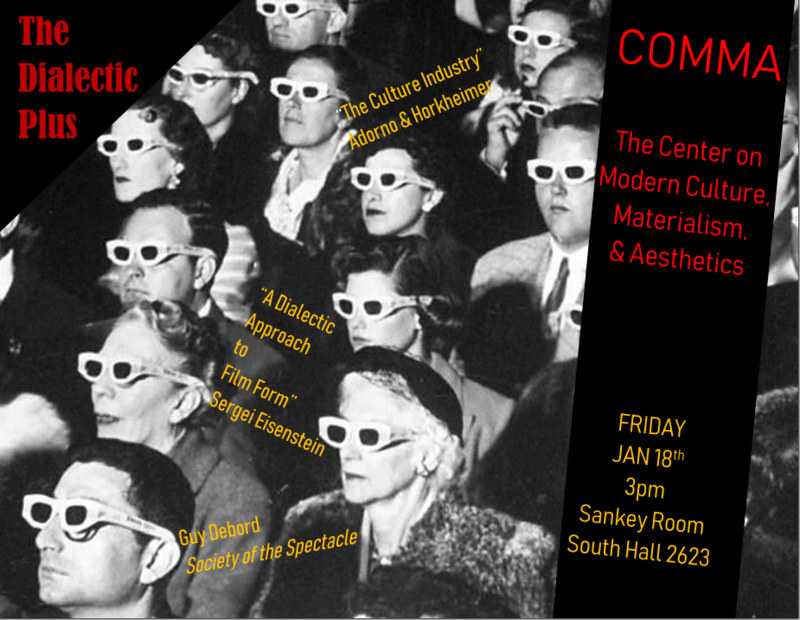 The first COMMA meting of the Winter quarter is this FRIDAY, Jan 18th, at 3pm in the Sankey Room (South Hall 2623). 1) “A Dialectic Approach to Film Form” by Sergei Eisenstein linked here. 2) Ch. 1 “Separation Perfected” from Guy Debord’s Society of the Spectacle linked here. 3) “The Culture Industry” by Adorno & Horkheimer linked here. Come Friday, 3pm for food and good discussion – all are welcome!